We loooove sundays because we are Back On Air! 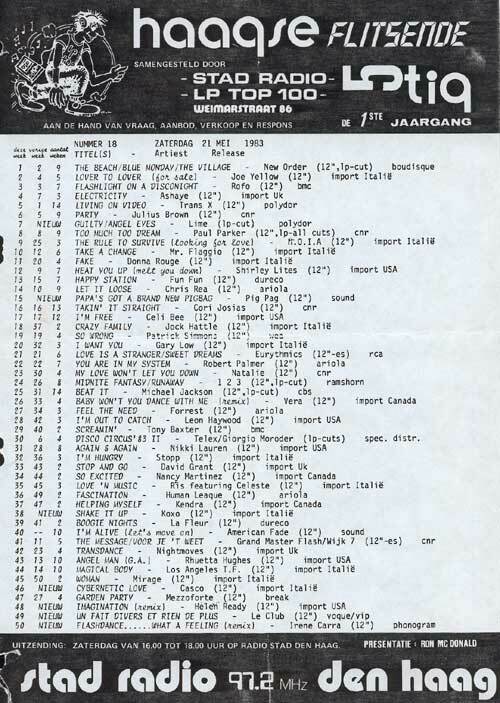 Deze week platen uit de Haagse Flitsende 50 van 30 mei 1987! 19:00 CET- A live mix set by DJ Renaldo! Support the guy and leave your comments for him in the chat! 20:00 CET – The one and only Sunday night live Request show! With loads of new musi c handed to us and Fred ventura! The crazy gang is complete again! Menno, Michiel & Gwen at your service. Whats cooking tonight… The one and only Fred Ventura paid us a visit, live in the studio!! And so lots of his music but also a lot of New stuff like Ralph River band-Strange vibration (83) in the Flemming Dalum remix, Another Flemmig Dalum remix of Denny Beeth & Adelina- Doc’s Brain, Ian Coleen & Manuel Rios with fly to me, first on RSDH, great female vocals of Hot girls of Italo disco on Bordello/Mothball label, a video clip of Tam Harrow-No time to say goodbye and this weeks spacesynth. Download this super show now! in audio & Video… also on mixcloud and playlist is in the comments, Enjoy! Gwen 27-05-2018 . Categories: +mix, Charts, clip, DJ Mix, Download, Geschiedenis, Haagse Flitsende 50, Live Show, new release, new release, Nieuws, party, Special Show, Stad Disco Zondag, Sunday Live Show, vinyl. Tags: Bordello A Parigi, Charts, Disco-Mix, Discomodernism, DoucheCo, Eurobeat, Flemming Dalum, Fred Ventura, Haagse Flitsende 50, Haagse Radio piraten, High Energy, I venti Records, Ian Coleen, Italo Disco, Italo Internet Radio, Italoconnection, Iventi Records, Live internet radio, Live Request Show, Manuel Rios Herrera, Mothball records, New release Radio Stad den Haag, Radio exclusive, Radio Stad Den Haag, Raffaele Fiume, Spacesynth, Stad Sundaynight Live, Studiocam, Vinyl, Zyx Music. *Fantastico! Het is weer zondag. Zijn jullie klaar voor uren lang heerlijke muziek? Kruip maar dicht tegen je radio aan, het weer is er naar, de beste Italo’s, mix sets en nieuwe muziek. **Autumn has set in in the Netherlands but we bring heat! The best live shows on a sunday. So sit down, relax and enjoy our programs today 🙂 We bring as allways the best Italo’s from vinyl, charts, mix sets and New Gen! 5-7pm CET; Another episode of DoucheCo hosted by Michiel..The best tracks from the classic hitchart broadcasted on RSDH in the 80s. 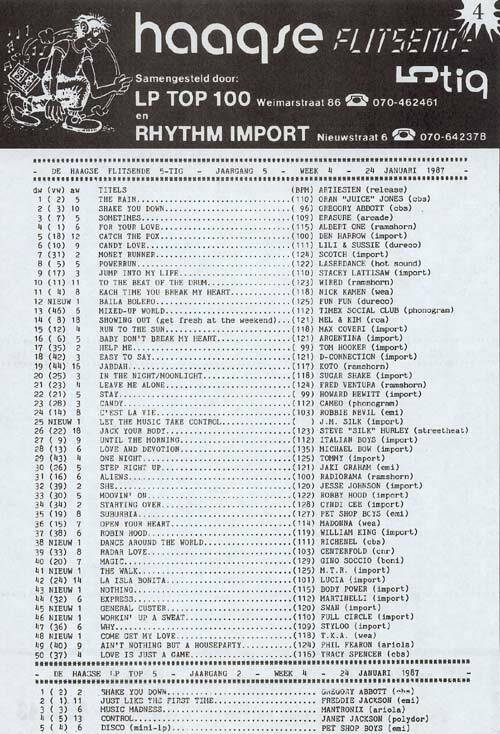 Today the list of october 8, 1983! De hits op een rij in DoucheCo. Michiel presenteert de klassieke lijst ‘Haagse Flitsende 50’. Vandaag 8 oktober 1983. 8-11pm CET; Wat was het weer een gave show zondagavond. Je bende van ellende was weer compleet en een studio vol met bezoek. Wij hadden hoog bezoek..een Haags Raadslid Michel Rogier, helemaal fan van Stad. Tevens 1 van de schrijvers van het Marathon boek nl Charlie Brussee maar ook de man van de Marathon Frans Winterswijk wat een eer. Eric Benjamin bleef nog en Lex van Coeverden was er ook. Wij draaide hele gave muziek zoals Yazoo, Laban, Carino Cat, Tina B, Ray Foster, Tom Garrow, Paul Parker, nieuwe spacesynth van Andreas Mohr Cyber Space en… 2 tracks van weeer en nieuw album van Fred Ventura Milano Disco waves op Discomodernism label + een remake van Alephs Fire on the moon. Join your gang tonight, they are complete again. We have guests in the studio and we make it your night out! So bring on those requests, have a drink and some nibbles. Let us know you are out there by joining the chat. Tonight we will tell who is the winner of the Green vinyl offered to you by James Knights-Alligator with the Italoconnection remix on it. And…Milano Disco wave..the latest project on Discomodernism label plus a remake from Aleph. Enjoy the downloads! Gwen 08-10-2017 . Categories: +mix, +Stad Disco Zondag, Charts, clip, Discontinu, DJ Mix, Geschiedenis, Haagse Flitsende 50, Live Show, Marathon, new release, Nieuws, Sunday Live Show, Video, vinyl. 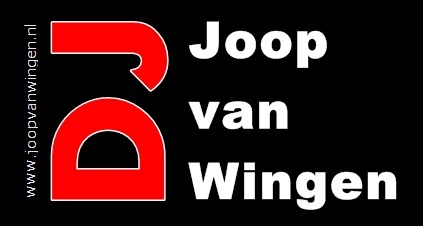 Tags: Aleph, Charlie Brussee, Disco-Mix, Discomodernism, Discontinu, DoucheCo, Eric Benjamin, Eurobeat, Frans Winterswijk Marathon, High Energy, Italo Disco, Italo Internet Radio, Italodisco, Iventi Records, James Knights, Live Request Show, Marathon boek, Milano Disco Wave, Radio Stad Den Haag, SIAE, Spacesynth, Stad Sundaynight Live, Studiocam, Vinyl.